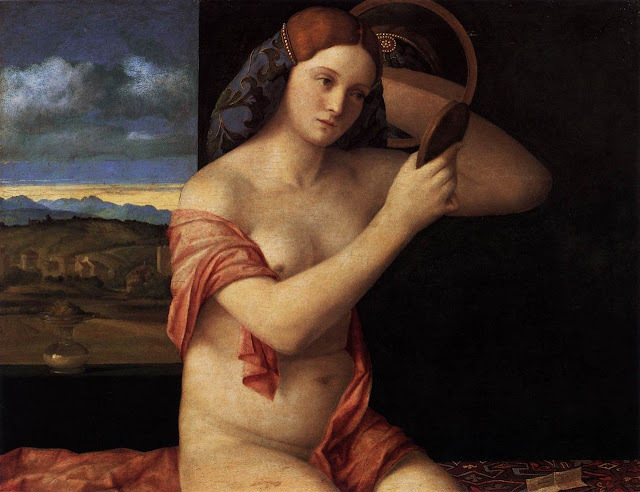 Infinite Art Tournament: The Infinite Art Tournament Left Bracket Third-Round Elimination: Bierstadt v. Giovanni Bellini! The Infinite Art Tournament Left Bracket Third-Round Elimination: Bierstadt v. Giovanni Bellini! Way back in January, we had our first ever foray into Left Bracket Third Round Elimination, with Bazille and Beckmann meeting in a high-power grudge match. Now, five months later, we've been able to drag a second pair of artists to the same point. 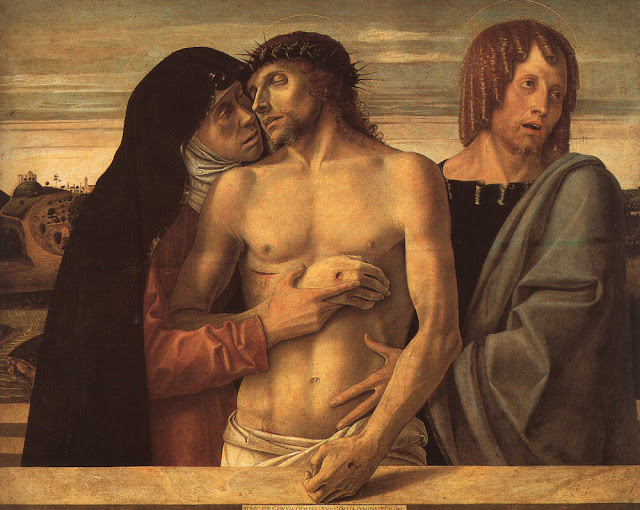 What Albert Bierstadt and Giovanni Bellini have in common is resentment of Gianlorenzo Bernini. The formidable Italian marblesmith sent both of them to the Left Brackets, Bierstadt in the Second Round and Bellini in the third. Since then, they've been stayin' alive -- but only one can survive the Elimination Round! Let's find out who! Leaving us this week after very respectable runs are William Blake (2-2; 30 vf, 27 va) and the Italian Futurist Umberto Boccioni (3-2; 42 vf, 23 va). Defeated fellow 19th Century American George Caleb Bingham in a powerhouse Round 1 match-up. Lost to 17th century sculptor Gianlorenzo Bernini in Round 2. Thumped Bernardo Bellotto in the Left Bracket Second Round. Confirmed his earlier victory over George Caleb Bingham, with interest, in the Tournament's first-ever Grudge Match. Snuck by the poet/printer William Blake by a two-vote swing in the Left Bracket Third Round. YOUR VOTE COUNTS!!! Defeated Hans Bellmer in Round 1 by a single vote. YOUR VOTE COUNTS!!! Took down American George Bellows in a fair fight in Round 2. Lost to Gianlorenzo Bernini in Round 3 by a mere two-vote swing. YOUR VOTE COUNTS!!! Beat Umberto Boccioni in the Left Bracket Third Round by another two-vote swing. YOUR VOTE STILL COUNTS!!! 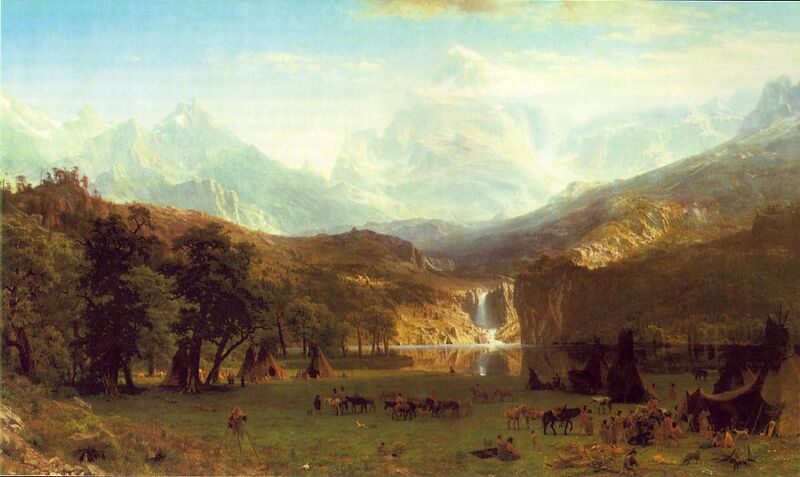 The glorious landscapes of Bierstadt have my vote. 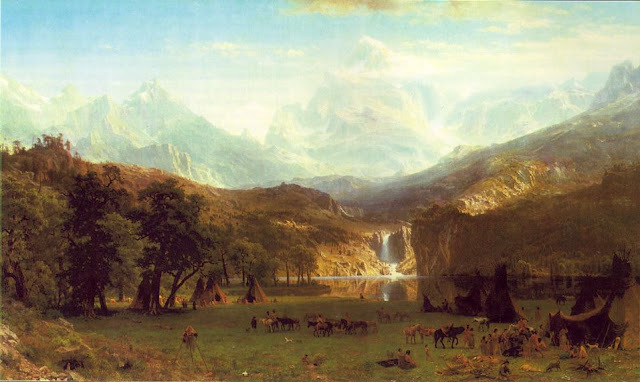 I like Bierstadt, but I'm going to have to vote for Bellini and his famous painting "Where is my Donkey?" I always thought that one was titled "Oh, What A Beautiful Morning" but I like Morgan's interpretation. 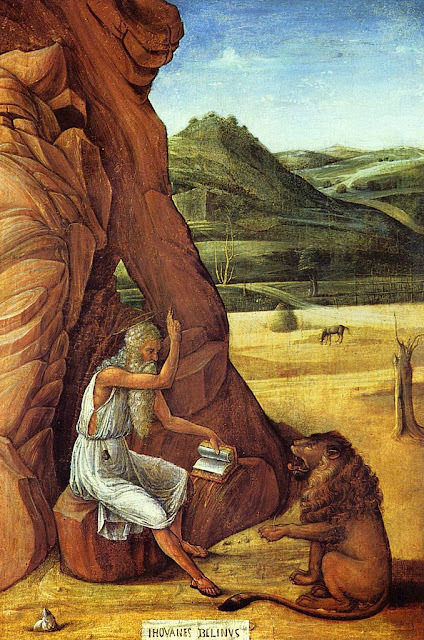 Here's an emailed vote for Giovanni Bellini! It pains me to vote against Bellini, but I'll go with Bierstadt's New World vistas, especially my fave time-travel cloud vortex. 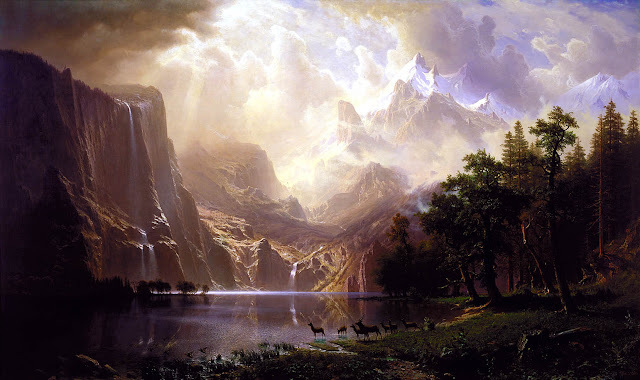 The glorious landscapes of Bierstadt have my vote. It doesn't even pain me! 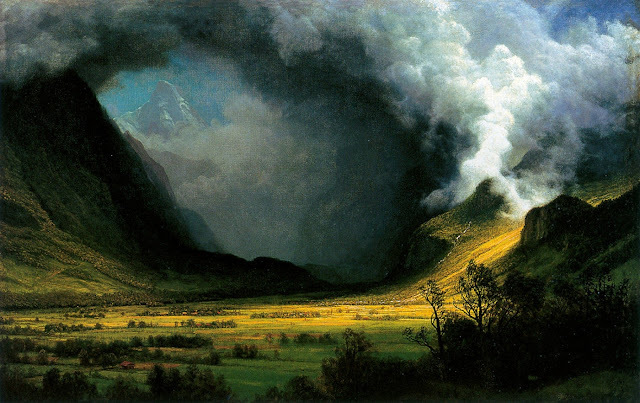 i'm still not feeling the Bierstadt love. 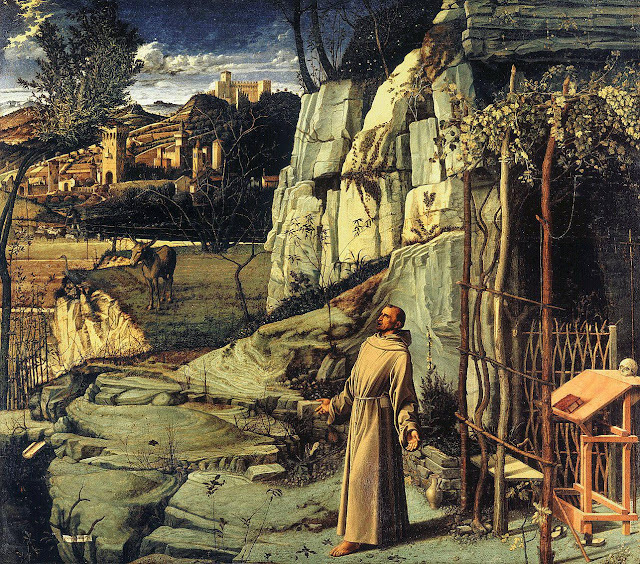 Bellini. 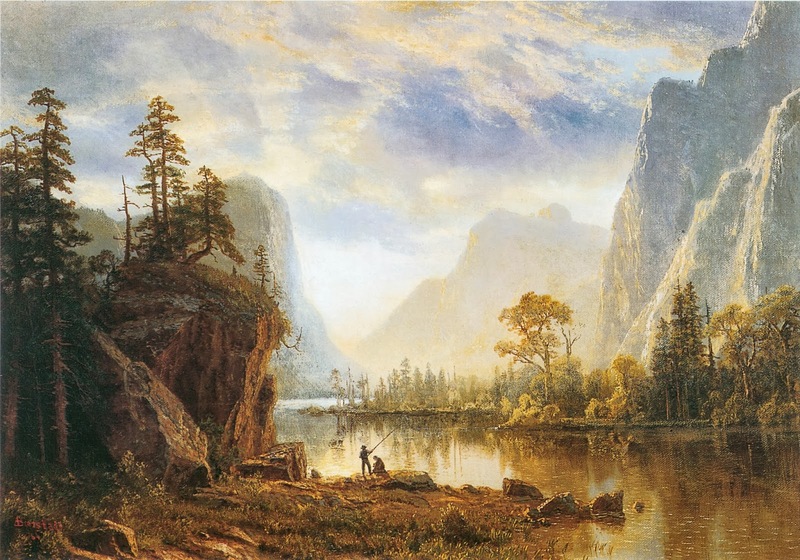 Bierstadt's water clinches it for me. I'm a sucker for religious art, but waterfalls are a trump card. A real nail-biter, as Bellini and Bierstadt ran neck-in-neck until the American took five of the last six votes to post a 8-5 victory. Never mind that it all happened last summer -- it's exciting now because we're tallying the votes now!! Looking forward to a Bierstadt/Botticelli showdown next weekend? OH ME TOO!!! June's Element of the Month: Sodium! The Free Box Tapes #7: "NY Jazz"